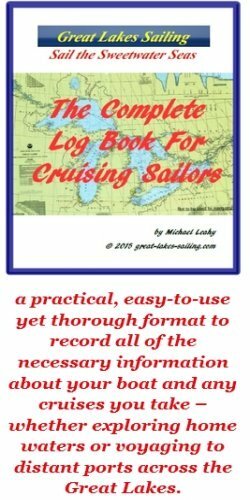 On the long run up Georgian Bay to Killarney or Little Current on the North Channel, it is good to have an option if the weather turns bad. One such option is Club Island. This island is uninhabited. There are no facilities at all on the island. Many years ago, the harbour was used by commercial fishermen and there are ruins of some buildings by the harbour. What it does have is a protected anchorage. The entrance is from the east so weather from the east will certainly cause a surge. The entrance is between a spit on the south - Fishery Point and North Reef, visible on the north side of the entrance. The beach is gravel and shale so the holding ground is likely not ideal. Care will need to be taken when setting ground tackle. With high ground surrounding the harbour, Club Island should be a good place to wait out bad weather. The approach to the harbour is from the east. It is a clear approach. The entrance lies between Fishery Point on the south and North Reef on the north. Needless-to-say, care needs to be taken when entering. There are no lights or any other Aids TO Navigation. Beyond being a good reguge harbour, Club Island can also be just a lovely pplace to drop anchor if you want to enjoy the peace and quiet of its isolation.